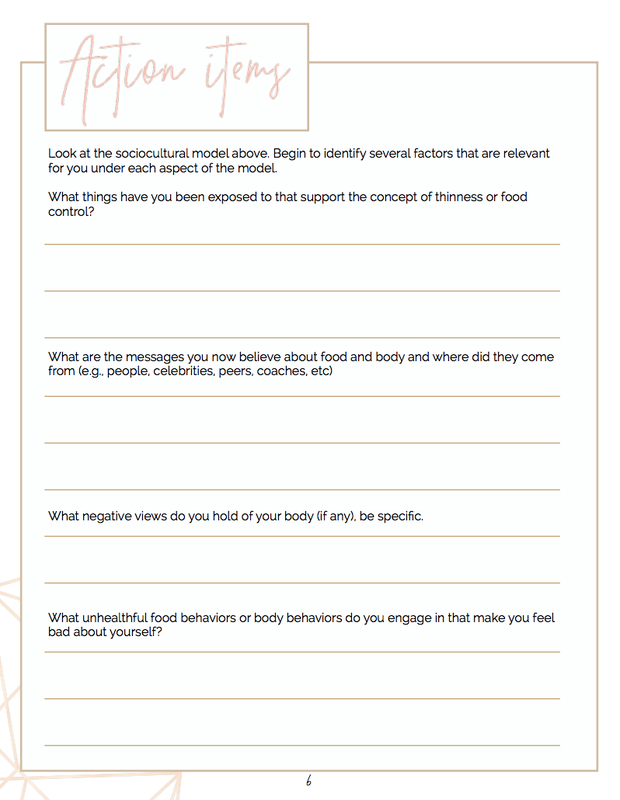 A beautiful, professionally designed 50-page workbook broken into two sections: the WHY'S of emotional eating and the HOW'S of emotional eating. Each section has five subtopics to gracefully and introspectively examine the subtopic along with the thoughtful action item to continue the growth process. Each lesson is followed by reflection questions to further engage curiosity, reflection, and activism.